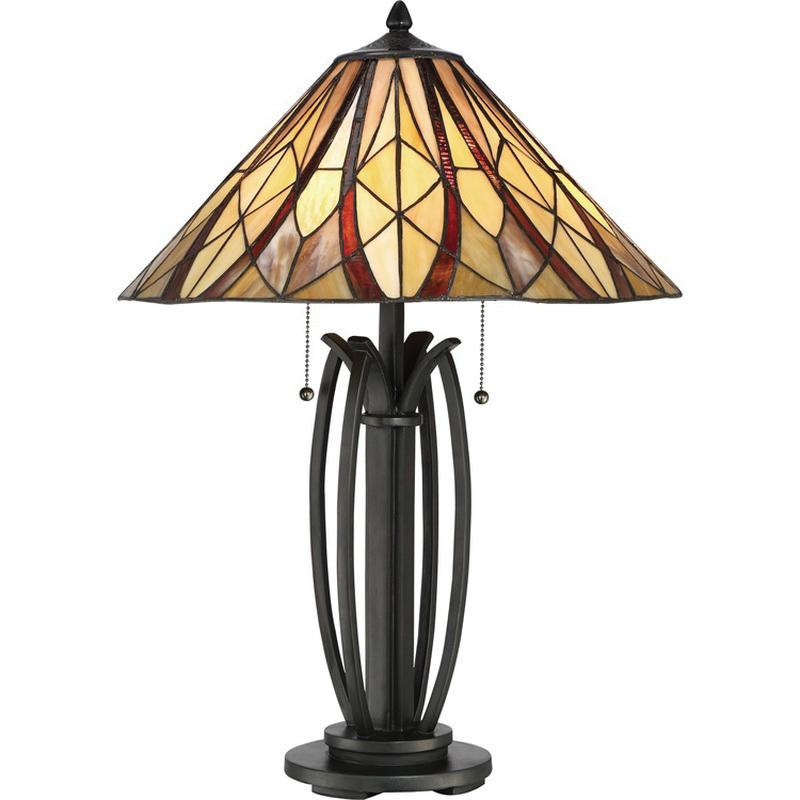 Quoizel Lighting Victory Collection 2-Light portable table lamp in bronze finish, features resin base construction. Tiffany glass shade brings elegance to the home. This traditional style lamp in circular shape, uses two 100-/23-Watt medium base CFL bulbs that have voltage rating of 120-Volts. This lamp measures 18-Inch x 18-Inch x 25.5-Inch. It comes with 8-ft lead wire for hassle-free installation. This lamp is ideal for use in bedroom, den and dining room.